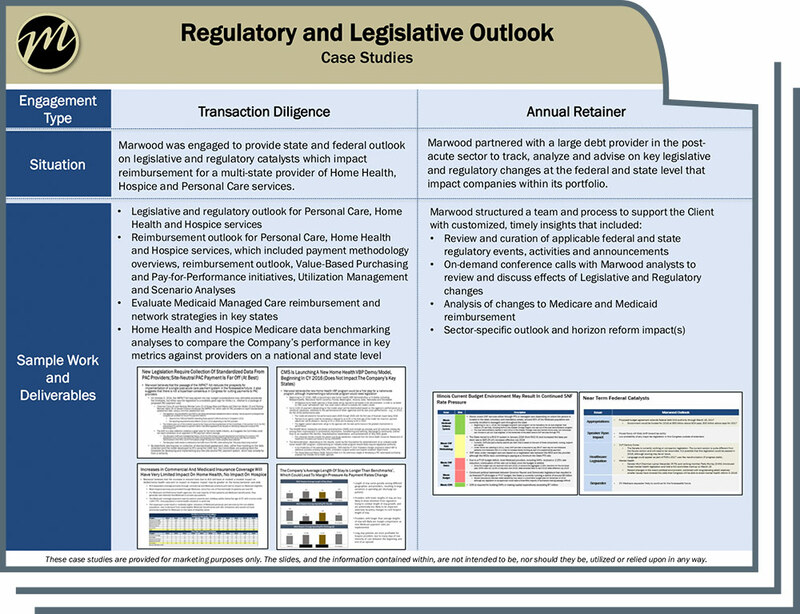 We provide an outlook for federal and state legislative and regulatory action across all sectors of healthcare. We work to help our clients understand and evaluate risks and opportunities as a result of actions by the Congress, the White House and executive branch agencies such as the Health and Human Services Agency (HHS), the Centers for Medicare and Medicaid Services (CMS) and the Food and Drug Administration (FDA) as well as state-level actions by legislatures, governors and state agencies. Our Regulatory & Legislative team is comprised of former White House, executive branch agency, senior congressional staff and senior state Medicaid officials that provide our clients a baseline for the current legislative and regulatory environment and deliver an assessment on the type and likelihood of change and when a likely change would occur.